I’m way behind on updating this blog. The holidays along with some sort of super bug virus have trashed my productivity the last month. 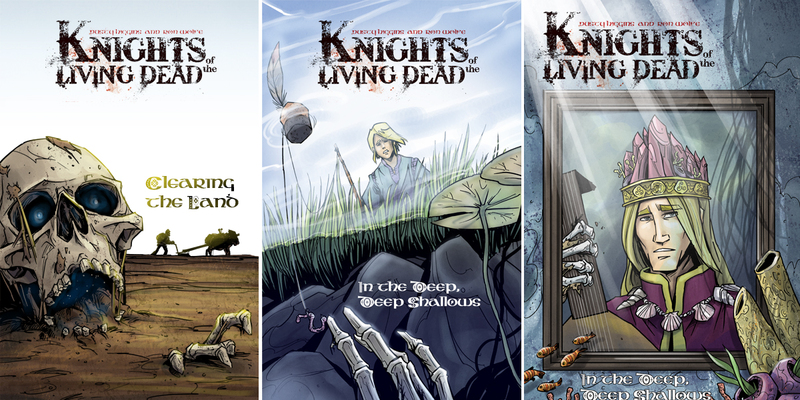 Thankfully, the holidays are over and I’m feeling better, so let’s start with some news on the Knights of the Living Dead book and some new art. This weekend I finished the last of the covers for the digital issues of the story. Here’s a few examples. 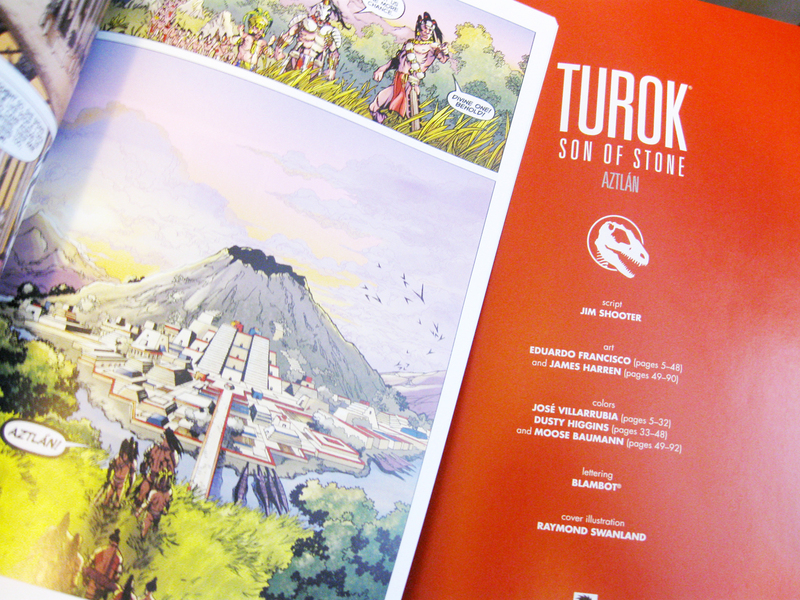 In the meantime you can download the first issue free from SLG’s website or Comixology. I’ve checked, it looks great on an Ipad. Right now it looks like the print version will be released late March. Speaking of digital downloads, the first two issues of Pinocchio Vampire Slayer 3 are ALSO available. Like Knights the first issue of PVS3 is also free. Each additional issue is only 99-cents and the first two graphic novels are also up there if you missed out on those. I don’t know if you’ve looked around, but that’s the cheapest you’re going to find digital comics issues that aren’t free, way lower than the $3 or $4 some publishers are asking for. If you’ve been waiting for me to finish the book so you can see how the story ends, well, this is the best you’re going to get for a few months. These digital releases give Van and I a chance to show you the book long before it would make it through the print production process. You’re welcome. On another note, I was surprised to have a box from Dark Horse sitting in my mailbox when I got home from visiting family around Christmas. Turns out the Turok series that I worked on for a short period of time had finally been completed and they sent me a copy of the trade. It was totally unexpected, but awesome since I’d really liked the direction the story was going and this gave me the opportunity to see where Jim Shooter took the story. A bonus for me was seeing that they completely switched the art style the issue after I worked on it which provides this amazing opportunity to see how different art can affect the the tone of the story. If you haven’t read this book, I’d recommend it on that alone (besides, that, you know, I also worked on it). But Shooter’s also crafted a pretty cool re-imagining of the original story and I could see where it might have become one of my fav’s up there with Walking Dead and Conan.